A good recipe is hard to come by. One that uses the most basic ingredients and doesn't requires lots of sugar and fat in order to yield moist tender crumbs is even harder to find. I am lucky to come across this simple Chocolate Cake recipe from a bread making book. Although it looks very much like a pound cake, it is actually a sponge cake. The batter is prepared by beating eggs and sugar, whereas a pound cake is made by creaming butter and sugar. The original recipe calls for dairy cream but I took the liberty to replace it with plain, natural yoghurt. I am quite certain that the result is not too far off from the original intention. Even though I could have deflated the batter a little, the cake rose nicely and even form a pretty crack on its own, that is, without having to 'slit' the batter, a step which is quite essential if you are baking a pound cake. The texture of the cake is slightly on the dense side, but still taste moist and tender...a cross between a sponge cake and a pound cake. What I like most is the simple chocolaty taste. This recipe is a keeper. Sift cake flour, cocoa powder, baking powder, baking soda and salt, at least 3 times. Set aside. Whisk eggs and sugar in a mixing bowl with an electric mixer on high speed until the batter triple in volume, thickens and leaves a ribbon-like trail when the paddle is lifted up. Takes about 5 mins. Turn to low speed, whisk for another 1 min (this is to stablise the air bubbles in the batter). Sift over the flour mixture into the batter in 3 separate additions. With each addition, use a spatula, gently Fold in the flour until well blended. Take care not to deflate the batter. Remove some batter into another mixing bowl. Add in oil, yoghurt and vanilla extra. Mix with spatula until well blended. Add this mixture to the egg and sugar batter. Fold gently with spatula until well blended. Pour finished batter to the prepared loaf pan. Tap the pan on work surface a few times to release any trapped air bubbles in the batter. Bake in preheated oven at 170degC for 25~30mins or until a skewer inserted in the centre comes out fairly clean (do not over bake). Unmold and transfer to wire rack to cool completely. Just curious why there is sponge cake recipe in a bread book ? Bread cake? Anyway, I m going to bookmark this recipe . Can help to clear some dairy cream in my fridge. Wow.. the cake sure looks very moist and bustling with chocolate richness. Must be delicious ! Looks very chocolaty and good. Wanna copy this soon. I can't believe this gorgeous looking cake does not contain butter. Definitely worth a try! HHB, Must try this asap. Wondering if it is suitable for my hubby to snack on while watching his Euro 2012. Hope it is not too sweet or oily. Thanks. Hi Kimmy, this cake is not sweet or too oily. Hope it won't disappoint you, but do take care not to deflate the batter when folding in the ingredients, and do not over bake. Great combination for me, chocolate and sponge cake. Can't wait to try this. By the way, do you do orders ? If so please let me know. "Here for you the sixth issue of Open Kitchen Magazine, our on line food magazine. Don't forget that you can also become part of our international team in the next issue. Open Kitchen Magazine Team "
I adore simple, rustic cakes like this! It looks like it'll be perfect with a freshly brewed pot of Earl Grey! I have been gaining a lot of usable and exemplifying stuff in your website. This cake looks delicious. You have inspired me to bake today. I think I will make it the subject of my next blog, thank you. Hello, your recipes seem to be by weight. How do I convert them into cups and spoons? Or is it better to weigh the ingredients? BTW, your cakes look amazing. I have wanting to make cakes similar to the Asian bakeries I got to such as Windmill Bakery and Cafe Mozart. These recipes seem to be close to what I am looking for. I can't wait to try them. Hi HHB, didn't get to bake this cake during the Euro 2012. Finally, I did it today. Will link your post to mine when I keep it in my blog. I like this cake. Is it possible for me to use 7" or 8" round pan? 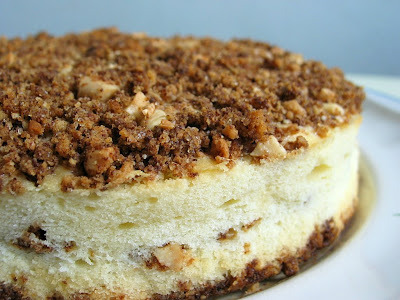 Wld like to bake this for birthday. Hi Bebe, the portion is too small for a 7" round pan and the cake may crack and form a dome, not so suitable as bday cake. Thank you for the simple and easy recipe. I am totally new to baking. My cake turn out to be a bit dry but the sweetness is just nice for me. I baked the cake for about 30 mins. I mixed the egg and sugar for more than 10 mins as I am using a hand held mixer(single blade). Not sure if i did a good job in mixing the egg and sugar. Finally, as i couldn't find a 18 cm loaf pan i settle for one at 20 cm. Would love to hear from you. Thank You!! Hi Maggie, thanks for trying out this recipe :) I dont think it is due to the beating of the egg and sugar...maybe it is due to your oven temperature, it could be too hot? or maybe you have over baked it? did you preheat your oven? and use an oven thermometer to check that the temperature is correct? Can replace vanilla essence with extract? Hi new baker, you mean using vanilla essence instead of extract? Yes, you may, but for best flavour it is better to use pure vanilla extract. Hi I would like to know if I need to use un-sweeten cocoa powder? Hi, yes please use unsweetened cocoa powder which is meant for baking and not those sweetened cocoa powder for making beverage.